Library Loot is a weekly event co-hosted by The Captive Reader and The Adventures of an Intrepid Reader that encourages bloggers to share the books they have checked out from the library. I just discovered this event and I'm ever so glad I did! I love my local library, it's where I get the vast majority of the books I read. 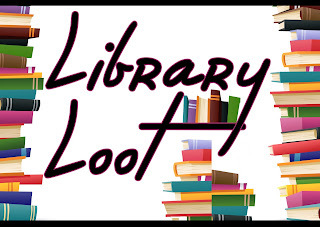 I'm always willing to show some library love so here we go! I *just* got home from said library with a few books in my hot little hands. (Descriptions come from Indie Bound) I plucked American Dervish off of a shelf when I saw it because I've heard such great things about it. Bring up the Bodies was a request of mine that was waiting for me/ (Thank you inter-library loan system!) 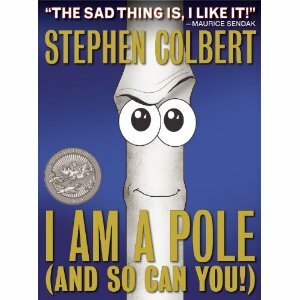 I am a Pole? 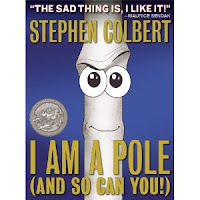 Well, I think Stephen Colbert is about the funniest dude in the world so I thought the kids and I could read it together and have a good laugh! "The perfect gift to give a child or grandchild for their high school or college graduation. 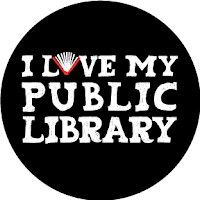 Thank you, to the heavens and back, to every library out there! Looks to be a great haul Jennifer. I had not heard of "American Dervish". You make whatever Hayat does sound tantalizing. I am always a bit fascinated by peoples reaction to betrayal, whether perceived or real. My curiosity is piqued! If it weren't for libraries, I would be deeply, deeply in debt (and then some) -- all from purchasing books. The library is where a HUGE chunk of books I read come from, too. 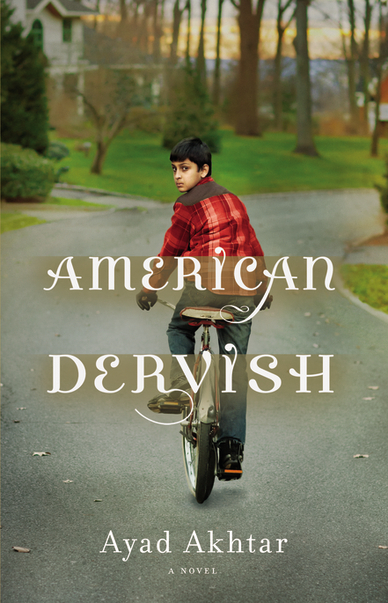 American Dervish is new to me, but it sounds like a curious book I'll check out. Enjoy your reads! I used to buy books like a maniac, back in the day. But then I made a few rules for myself. I would only buy classics, books I know I would read numerous times and whatever books my kids wanted. The library is a life saver!! Hello - well I just added more book to my reserve list! 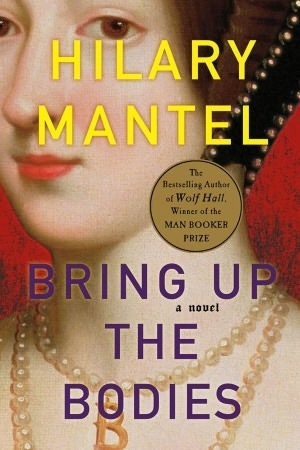 I have not read either book by Hilary Mantel and plan on checking those out. "American Dervish" also sounds very good! Thanks for the additions! Every time I see Bring Up the Bodies I am reminded that I still haven't read Wolf Hall. I am very good at saying that I "need to read it soon" but at the rate I'm going I'll be lucky to read it before the third book is released. If only there weren't so many other wonderful books to be read - what troubles we readers have! Hi Claire :) It's almost better to wait until all of the books are released, then you don't have the agonizing wait between books :) What troubles we have indeed!